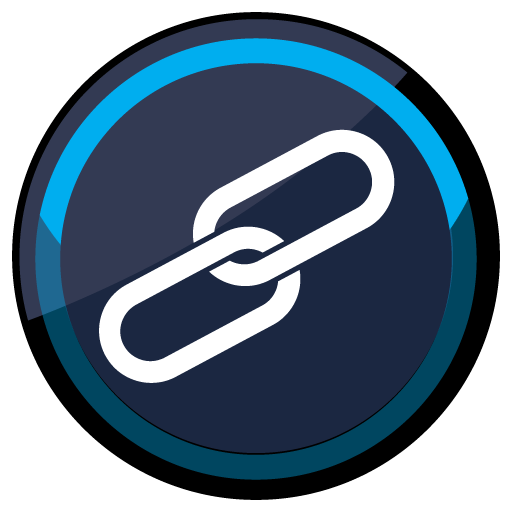 Three options are available in the Link tool. The options are grouped with radio buttons that are enabled and disabled according to the chosen files. Link data with same color space: combine several separate measurement data files with the same color space to one large data set. For example, combine three CMYK data sets to one large CMYK measurement data set. Combine CIE with DCS: combines two separate files to one data set. This option is enabled if one file contains the reference data (DCS – Device Color Space) and the other file contains the measurement data (CIE) and both have the same number of patches. Merge by Channel Name: links multicolor measurement data from different sources, e.g. separate Esko Equinox measurement data files. 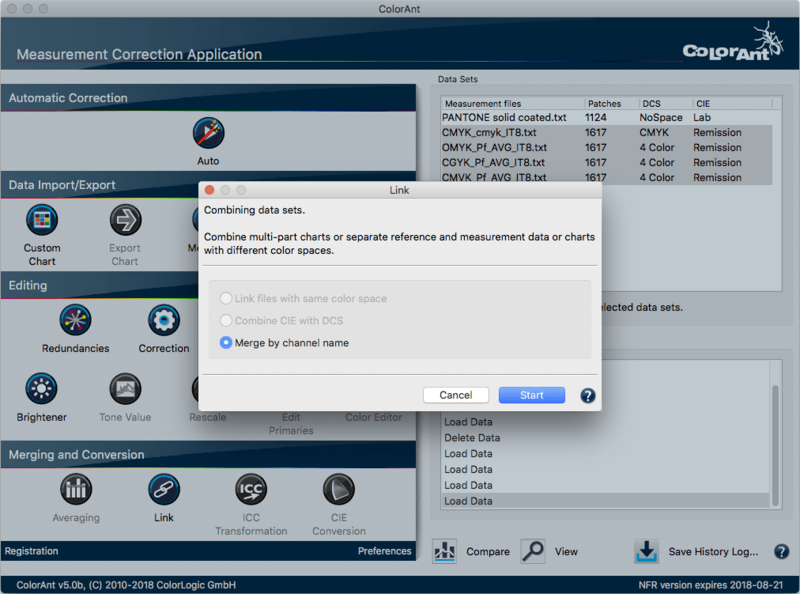 Combines separate measurement data files with different channel names to a new file. For example if you combine a four color CMYK file with a CMYK+Orange data set the resulting file will be a 5 color data set CMYK+Orange with additional CMYK data. Note: Combining multicolor data requires a ColorAnt L license. Tip: ColorLogic suggests averaging the redundant color patches with the Redundancies tool after using the Link tool. Delete redundant color patches by activating the Remove Duplicate Patches checkbox next to the averaging method. The methods for averaging redundant color patches are the same as in the Averaging tool. View the channel re-ordering options in Edit Primaries. We are an independent, technology driven company that creates strong and productive relationships between our partners, clients and team.